Like the most: Residents here conveyed to me they love being part of Little Italy and having a Starbucks at their doorstep. They also expressed great delight in stating they have one of the lowest HOA fees downtown. 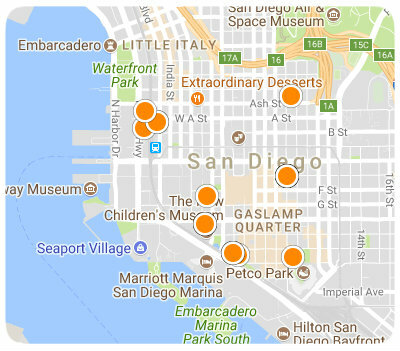 Like the least: Some residents feel the building is a little too far out to feel like they are in the mainstream of downtown and that walking from the very northern tip of Little Italy to the Gaslamp is out of the question. While the HOA?s are low, the trade off is not having any amenities. A few residents complained about the noise from the street (cars) and airplanes. Other comments: The style of the kitchen cabinets is rustic/country.